Bubble Checks - Who said you didn't have a bubbly personality? Spread it around with these quirky fun bubbles personal checks! Four fun designs in vibrantly flamboyant colors, these unique designer checks are eye catching and hard to miss! Bubble Labels - Who said you didn't have a bubbly personality? 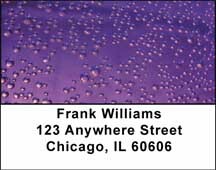 Spread it around with these quirky fun bubbles Address Labels! Four fun designs in vibrantly flamboyant colors, these unique designer Labels are eye catching and hard to miss! Feather Checks - These awesome abstract feather design personal checks are rendered in sharp close up detail. These checks take flight with bold, vibrant colors! Visually intriguing and contemporary, these designs are hard to miss! 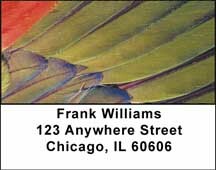 Feather Labels - These awesome abstract feather design Address Labels are rendered in sharp close up detail. These Labels take flight with bold, vibrant colors! Visually intriguing and contemporary, these designs are hard to miss! 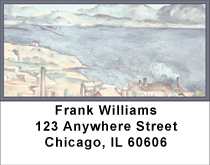 Look closely or you'll miss the subtle basket weave pattern in the background of this traditional classic check design. We are now offering Safety Checks. 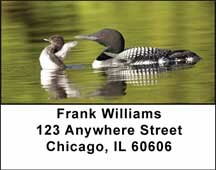 Also enjoy a wide selection of more Safety Personal Checks. 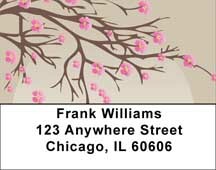 Oriental Blossom Labels - These stunning asian blossom graphics are a beautiful way to add springtime into your Address Labels! These artfully designed blossom branches are colorful and close-up so you can't miss any of the great details! Oriental Blossom Checks - These stunning asian blossom graphics are a beautiful way to add springtime into your personal checks! These artfully designed blossom branches are colorful and close-up so you can't miss any of the great details!